Dell has recently released several new modes dubbed as the Dell S2318NX, the Dell S2418NX, and the Dell S2718NX. Apart from the screen size which is indicated in the model name, these monitors share the same specifications including the Full HD resolution, InfinityEdge design, and the same IPS panel. However, only the 27-inch version of the monitor features the FreeSync technology. 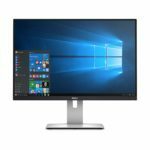 Dell has labeled these monitors as “Dell HDR” but since the official specifications of these monitors reveal maximum brightness of 250 nits and only a 99% sRGB color gamut, they don’t qualify for the HDR10 support. The Dell HDR label is most likely a built-in feature which enhances image quality, which is not nearly as effective as HDR10 or Dolby Vision. 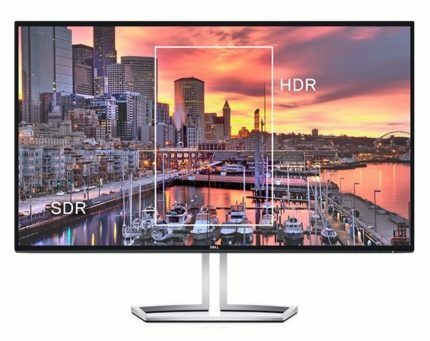 To clarify, in order for a monitor to be eligible for the HDR (High Dynamic Range) format and its expanded color and contrast range, it needs to meet some taxing demands such as a peak brightness of 1000 nits, 10-bit color panel, and a vast coverage of the DCI-P3 color space. 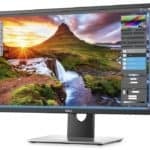 Since the Dell S2718NX and the other models feature only an 8-bit color panel, 250 nits of brightness, and only 99% of the sRGB color space, they are no more close to HDR than most of the IPS panel monitors out there. Supposedly, the Dell HDR is an image manipulating feature which enhances some parts of the picture for more life-like details, much like some smartphone cameras do, for example. Regardless of the HDR confusion, the 8-bit IPS panel still produces a vibrant image quality with vibrant and accurate colors, impeccable viewing angles of 178 degrees, and quick 6ms response time. Additionally, all of these monitors will have a low blue light filter and a flicker-free screen which will allow you to watch the screen for hours without feeling eye fatigue. When it comes to gaming, the 60Hz refresh rate and 6ms response time are specs that no competitive gamer wants to see anymore. However, casual gamers will still be satisfied with high-quality Full HD resolution and expressive colors of the IPS panel. On the other hand, AMD users can opt for the Dell S2718NX which will have FreeSync. This feature synchronizes the monitor’s refresh rate with the compatible graphics card frame rate and thus eliminates screen tearing, stuttering, and input lag. The speculated dynamic range of FreeSync is either 48-75Hz or 40-75Hz. For these models, Dell has decided on the trademark InfinityEdge design which consists of a slim bezel and edge-to-edge display; a classic and elegant design which makes the image pop out. However, the eye-catching design comes at a cost of ergonomic functionalities as the monitors are tilt-only and have no VESA mount compatibility. These models also differ by the way their screen is coated as only the Dell S2418NX has a standard matte finish. The Dell S2318NX and the Dell S2718NX have a low haze coating which means that they’re basically glossy with a very light anti-glare protection. This can result in the annoying reflection when there’s sunlight, but the image quality is more stellar. All of the monitors involve the same connector ports including two HDMI ports, a VGA, and an audio line-out. The 27-inch model, the Dell S2718NX, supports FreeSync over the HDMI port. At the moment (April 2017), the prices of the monitors are as follows: $160 for the Dell S2318NX, $200 for the Dell S2418NX, and $270 for the Dell S2718NX. The prices are quite reasonable considering the specifications, but we are very eager to see how the Dell HDR affects the image quality. Considering the Full HD resolution, the smaller two monitors have a much sharper and crisper image quality due to the higher pixel density. If they had FreeSync like the 27-inch model does, the deal would be perfect. Dell has also made models of these monitors with integrated speakers and has dubbed them as the Dell S2318HX, the Dell S2418HX, and the Dell S2718HX. The HX series of these monitors are exactly the same as the NX apart from the built-in Waves Maxx Audio speakers. 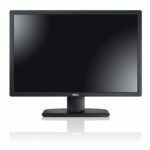 These monitors are available for additional $20 to the price of the regular models. Click on the button below to see the latest price and to search for the other models as well. The Dell S2318NX, S2418NX, and S2718NX promise a brilliant image quality due to the color accuracy of the IPS panel with 99% sRGB color gamut and the innovative Dell HDR feature. Gamers will have to settle for 60Hz and 6ms response time which is still plenty for a great high-quality casual gaming experience.